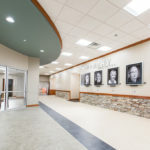 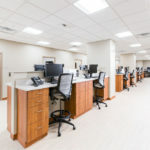 The $25 million center, Excela Square at Latrobe, is a one-stop site for health services modeled after the Westmoreland County care provider’s new facility designs. 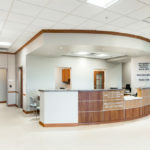 Construction began on this 115,000sf facility, mid-2016 and doors were opened on Monday, January 22. 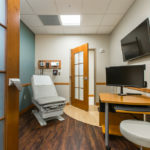 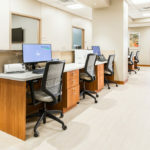 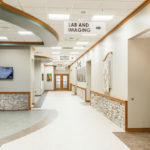 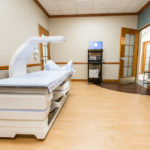 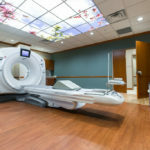 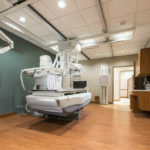 The first-floor features Outpatient therapy services; Diagnostic Services such as lab and blood draw, diagnostic radiology, mammography, CT Scan, Ultrasound, Bone Density testing, and pre-op testing + EKG; Ear, Nose and Throat practice; Advanced Pain Center; as well as the main lobby, children’s area, and doctors/staff offices. 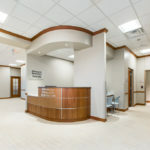 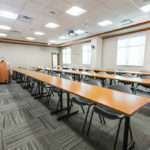 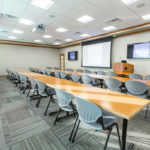 The second-floor includes practices for primary care physicians and specialists in orthopedics and sports medicine, cardiology, neurosurgery, surgical specialists, and gastroenterology. 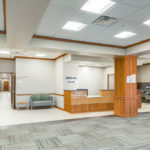 The third-floor includes obstetrics, women’s care center, and family medicine practices, along with a central location for the hospital’s family residency program, which has graduated nearly 200 family physicians over the past 40 years. 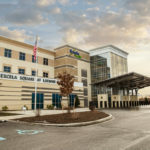 Excela Square at Latrobe serves as an extension of Excela Latrobe Hospital by consolidating other services that were previously available at 16 separate sites. 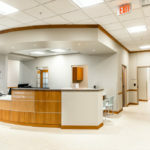 The building is supplemented by 350 parking spaces. 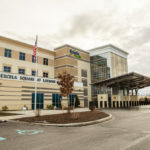 – Robert Rogalski, Excela Health’s Chief Executive Officer.